Sydney based artist Anna Mcmahon’s exhibition opened in December. Anna installed the works in relation to the RAYGUN project space. The ephemeral plant based works will go through their natural dying/decaying process throughout the duration of the works installation. The works, in addition to responding to the physicality of the space, were autobiographical. Below are Anna’s statement and answers to the questions we ask out artists. In The world is weary of me, and I am weary of it, I go about my arrangements with the intention of creating something that is reflective and inspired by traditional and non-traditional Ikebana displays, but without restraint about what may or may not necessarily be traditionally accepted. In his seminar from March 16, 1977, Roland Barthes describes his dossier on flowers. One of the main points Barthes makes is that flowers ‘go without saying’, that they are accepted for what they are without question of what they represent. It is for this understanding that Barthes expresses the need for a dossier of enquiry – that things that are easily accepted are often the things which ask to be looked at closely. No one questions the presence of flowers, the gift of flowers, the consolation of flowers – their presence is never thought odd, or unreasonable. They have no use, no set symbol, yet represent many ideas and ideals which contemporary society seeks to enable. By using photography and living sculptures in The world is weary of me, and I am weary of it, the installations ultimately explore ideas of permanence and impermanence, life and death, and relevance and irrelevance. 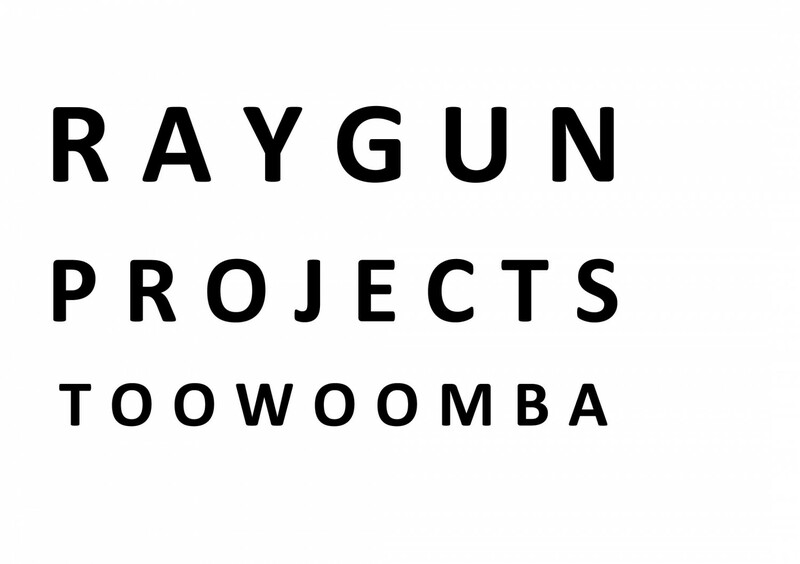 1 – What ideas are you examining through your exhibition at RAYGUN? Created to attest to the luxury of the plant, a flower bears no real purpose other than to attract the insect that will aid in its reproduction. An arrangement of flowers is an impermanent sculpture – a dragged out performance of the beautiful and the ugly. As an object, and for the audience, the floral arrangement is firstly a reminder of the love and comfort of life – the simple pleasures. They recall a celebration of love and of life. However, conversely it also brings about memories of death and illness, of our own mortality and decay – that inevitable known – that life leads to death. In my exhibition, The world is weary of me, and I am weary of it, I install a number of arrangements of flowers as response to my recent travel to New York City. I approached all of my installations as an intuitive experience, wanting to create something that is both visually and physically engaging. Once the flowers are installed in the space I photograph the arrangements and having printed them, hang the image in close relation to the arrangement. The relationship that exists between the arrangement and the image is of great important to the overall work, and established the tension between the photograph and it’s index. The photograph announces the death of a moment. The light that touches the subject also writes the image, and the image becomes a precursor for the future – a description of what has been. In this way the photographic image in this work was the antithesis of death, it allowed the subject to live on through the photographic image, whilst the subject itself slowly decayed over the duration of the exhibition. Paramount to the work was the dichotomy of the ideas about death and life, preservation and decay, celebration and mundane, performance and stillness, usefulness and lacking purpose. Further to this I am also interested in how the arrangement itself may more easily constitute art when it is staged alongside its own image. 2 – What are the ideas that surround your work/your practice? The idea of the dilettante is something which is of great interest to my practice presently. A dilettante is someone who studies a subject or area of knowledge superficially. My work resonates with this idea of the dilettante as I create floral arrangements based on an amateur study of Ikebana. In Brian Eno’s interview recorded for the album From Brussels with Love, Eno states, “For me the great strength of dilettantism is that it tends to come in from another angle […] an intelligent dilettante will not be constrained by the limitations of what’s normally considered possible; he won’t be frightened, he’s got nothing to lose.’ It could be suggested that approaching a highly developed art form such as Ikebana with limited knowledge or skillset could be a way to overcome the constraints of that practice and bring with it a new conception of what the practice, and result means. The use of flowers throughout art history has been more or less confined to the field of painting. With the exception of contemporary artists such as Camille Henrot and Jeff Koons, the act of displaying a floral arrangement as sculpture, or performance has not been widely employed. Of course the rich tradition and history of the practice of Ikebana could very much be considered an artform in it’s own right. Pursuing my arrangements with the intention of not adhering to any pre-existing tradition means that I can act as a far more liberated practitioner, and indeed bring this traditional practice into the new light of contemporary art. 3 – What are your influences/other interests? My practice is grounded in scientific, theoretical and new age notions of the past and future. I explore this area through photo-sculptural conjunctions, generally taking the form of an installation. Since 2011 I have intermittently seen and recorded readings with multiple psychics. I am in the process of creating a body of work that presents the answers I have been given when questioning my future career as an artist during these readings. At their core these works explore fear of failure and conversely a quest for success. Eno, Brian. “An Interview with Brian Eno.” By Phill Niblock. From Brussels With Love (1890). Fox, Dan. “Known Unknowns.” Frieze, no. 161 (March 2014). Dan Fox, “Known Unknowns,” Frieze, no. 161 (March 2014); ibid. Brian Eno, interview by Phill Niblock1890.